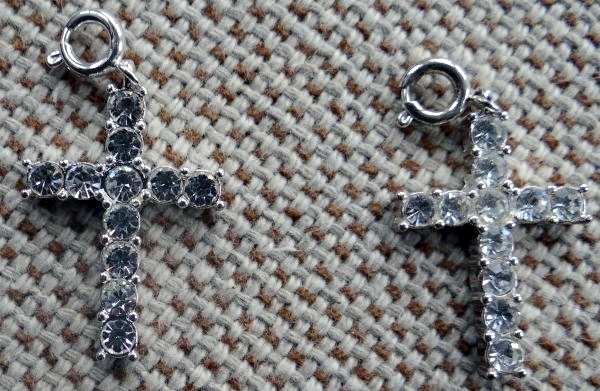 This crystal cross silver metallic dog collar charm is embellished with crystals. There is a clasp at the top to attach it to your pets collar. It measures 1 1/4 " tall and 3/4" wide. This is a beautiful charm for your pet.